This exhibits the highest level of the engravers art. The receiver is engraved in miniature English scroll pattern with the very highest detailed Boulino engraving featuring pheasants on both lock plates and the bottom of the frame has a Labrador retrieving a shot pheasant. 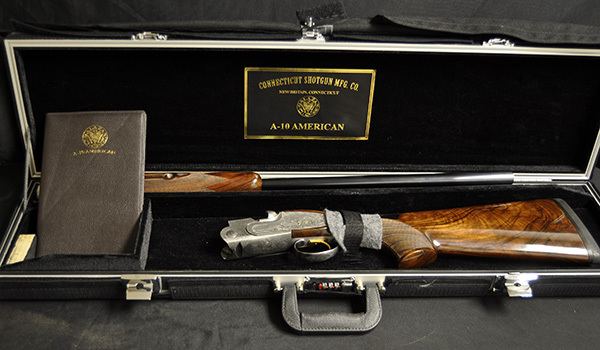 This gun is available in a very limited production run and is executed by our senior workmen and engravers. 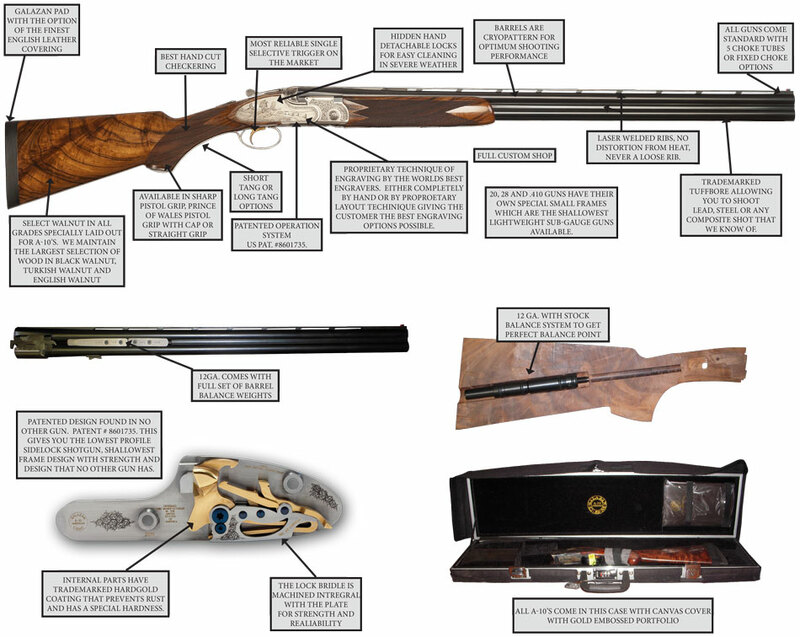 The very finest high grade gun available. A true masterpiece and the center of any collection. Available in all standard A-10 configurations and also available with Custom Shop options. 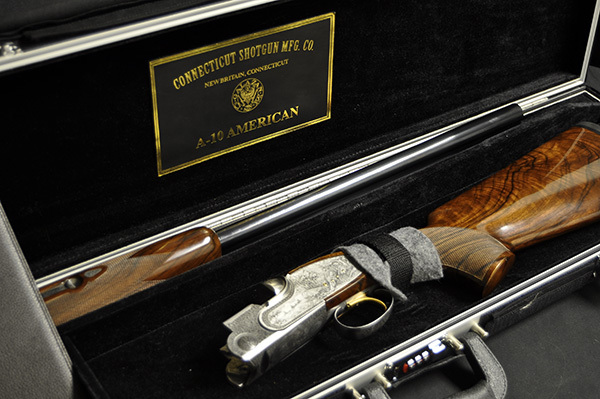 Call us at 860-225-6581 to order or upgrade to an A-10 American Platinum.